For heli and cat trips, short missions outside the ropes or all-day lift laps, the Black Diamond Dawn Patrol Daypack 15 stores your avalanche safety kit with enough room for layers and other small items. For heli and cat trips, off trail or all-day lift laps, the Black Diamond Dawn Patrol Daypack 15 has just the right amount of room for layers, water, goggles and more. Also for backcountry enthusiasts has special pockets for avalanche safety gear. The pack’s active, form-fitting suspension provides a contoured, body-hugging fit, while the zippered panel opening provides quick access to gear. Exterior attachment points for skiboards, your helmet and even an ice axe or poles will accommodate the needs of any freeriders. The pack is also compatible with the Black Diamond AvaLung Element (sold separately) for added avalanche preparedness that is easy to take on and off when using the pack year-round. Active, form-fitting suspension with zippered front panel opening. High-tenacity, ultralight Dynex side panels and shoulder straps. Single ice-axe attachment points, Hi-Lo helmet holder and internal avalanche tools organization. Hydration compatible with insulated sleeve and shoulder strap. Also check out the brand new Black Diamond Backcountry Trekkor Skiboards. Ideal Ski / Mt Bike Patrol Pack! 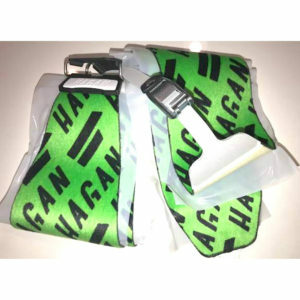 Perfect for the essential items Patrollers need to carry. The large main compartment is divided to help keep first aid supplies separate from tools/ extra clothing. While listed as 15 liters, this pack seems much larger! It holds a lot, but still maintains a very low profile – excellent quality. While I originally purchased this to use just for winter, I think it will be perfect for mt. bike patrolling too! Overall good product. I bought this recently and am generally pleased with it. It performs as advertised and doesn’t interfere with skiing. The only problem I have is getting it off. The shoulder straps could be a little longer to make removal easier. I am 6′. It would probably be fine for someone with a smaller frame. Solid pack. We use these packs for our clients on our snow cat tours . They get treated like rental gear and are holding up to the task. I am alway impressed by BD quality. 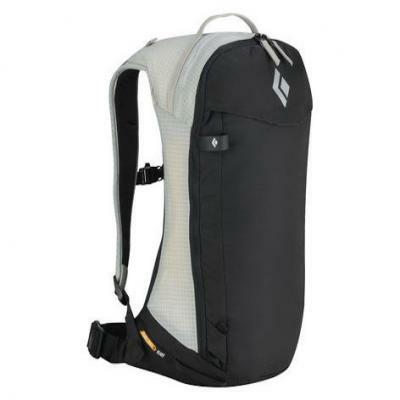 Pretty much the perfect pack… Bought the 15L instead of the 25L because the latter was out of stock. Glad I did! While “perfect” is highly subjective, I found this size to handle more than I expected. Extra layers, a 48oz Nalgene, snacks, hats, glasses, whatever… pretty awesome. I use this as an inbounds/sidecountry pack and it sustains me for whatever may lay ahead. Of course, the 25 will hold more but for lift serviced skiing and less than epic use, bigger would be detrimental and excessive. The internal avalanche equipment slots work well for other things (like holding a Nalgene stationary within the pack) and the small zippered pocket on top holds a beanie, sunglasses, wallet, more than you might expect. Shoulder straps are very comfortable, waist belt is low profile, and its avalung ready. Super nice, lots of stoke, disappears while skiing or trekking. Totally dig it. BD has produced yet another winner!